To say I love cheese would be an understatement. I adore cheese. I admire it’s complexities, varieties, and it’s uncanny abilities to bring together people, and how it makes wine taste BETTER. I learned about The Cheese Store of San Diego late last year, and eagerly anticipated it’s opening earlier this year. Before my italiano classes at the Italian Cultural Center in Little Italy, I’d go enjoy a pretty cheese plate and glass of wine, or a sumptuous grilled cheese, or a decadent mac ‘n’ cheese treat. 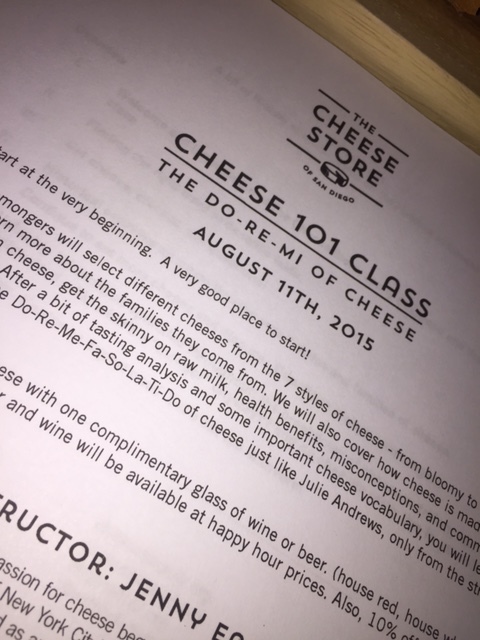 I learned they’d be offering “Cheese 101” classes at the store, and I was utterly devastated (but, not surprised) when I went to register only to find the class had sold out in a hot minute! So, when I got my CSOSD e-newsletter last week and saw they were hosting another class last night, I registered immediately and let my friend Quane know, as well! If you’ve been tuning in to my 27 Things for My 27th Year journey, you know that there is a smattering of local things and simply ridiculous things to accomplish. I was very, very excited for this one particularly, and I got so much more out of it than I ever could have hoped for! First, I arrive early (because parking in Little Italy is like….no) and get a glass of Montepulciano d’Abruzzo, Vallevo 2013 to enjoy on the patio while I wait. Do not waste time trying to pronounce it. Just buy, sip, savor! At 7 pm, we enter the store and sit at a fun communal table with candles, rustic boards with sliced baguette, and little dishes of dried figs and apricots, and wine glasses a-plenty. I have another glass of red (the house red is amazing), and look over the materials at each seat. Little did I know there would be a real-life Cheese Monger there to take us on a trip around the cheese world (or at least the main 7 categories of it)! 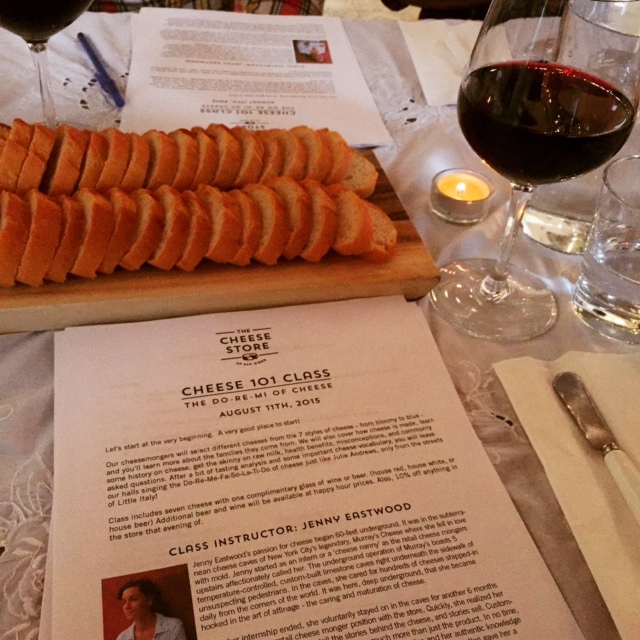 Jenny Eastwood is not only knowledgeable, but she expresses her passion seamlessly when she describes cheese-making processes, origins, varieties, and the like. I learned so much more than I’d imagined about cheese and it’s health benefits, it’s differences that present from the USA to foreign varieties, and what flavors and notes you could find in cheese if you spend a little time with it (rather than alternatively inhaling it’s deliciousness without a second thought). Had to get a photo with the Cheese Monger herself! 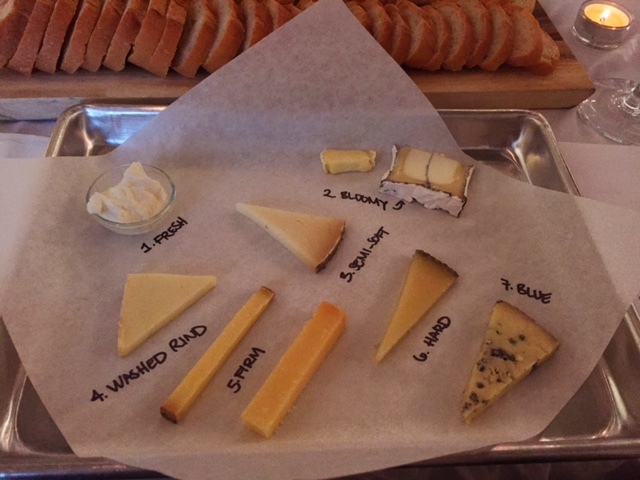 Jenny originally frequented a well-known, and historic NYC cheese shop called Murray’s, when one day, she told us a story about walking in and seeing a notice about hiring a “Cave Intern.” Next thing you know, she’s worked down in the cheese caves over a year, aging fantastic cheese and becomes a Cheese Monger upstairs next! It was a treat to try 7 varieties (and nine samples!) of cheese, and to get to know the people around us and learn the unique characteristics of each piece as we went along! Once the class ended, Quane and I got some goodies to enjoy from the cheese case (class attendees get 10% off purchases the night of), and then headed up the street to Monello for dessert-you know, to walk off the wine- and had yet another decadent and sinfully wonderful experience! Monello is the “little brother” restaurant to Bencotto in Little Italy, which I had the pleasure of dining at for lunch yesterday as well! 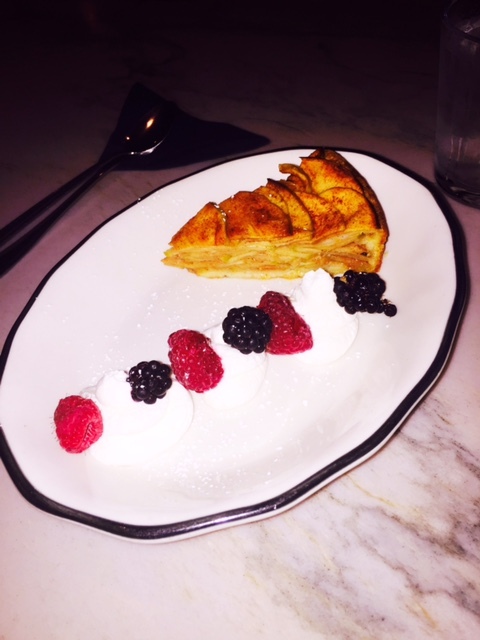 Quane ordered the Tiramisu and I opted for the Torta di Mele (apple pie/tart). 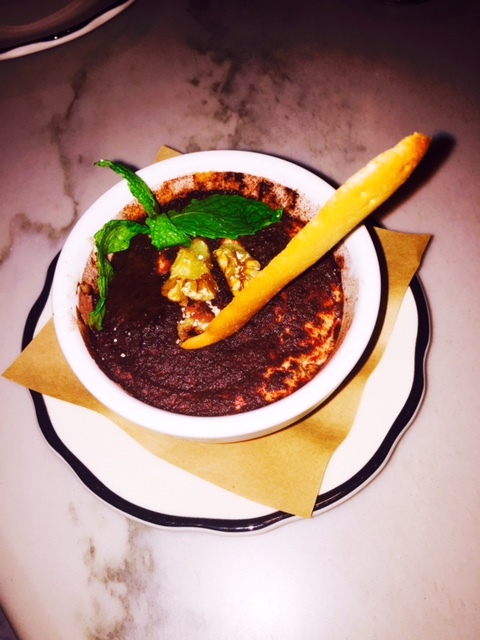 Both desserts were perfectly portioned, adorably presented, and delightfully tasty! 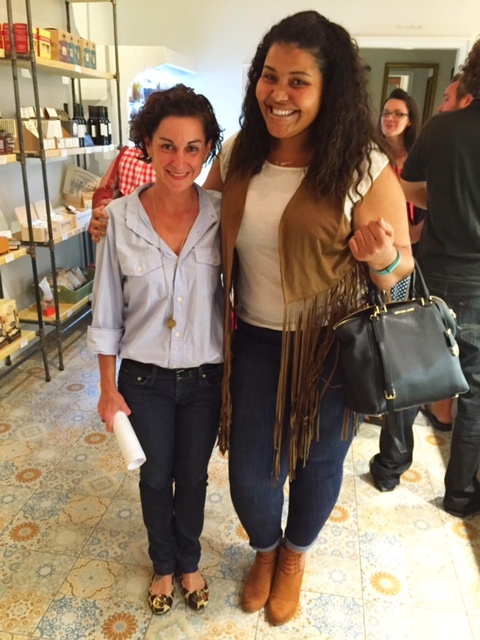 I am so, so thrilled with my entire experience, and I cannot wait to attend more of the events at The Cheese Store of San Diego! How amazing is it to have little treasures like this in our very own backyard? I highly recommend that you stop by! And remember, they do cheese trays for your events, are very knowledgeable about the cheese they have, and their menu items are phenomenal! It feels really great to slowly knock items off of my 27 Things for My 27th Year list, and I love that some of them get to be so dang delicious! Stay tuned for more adventures! You know they’re coming your way! 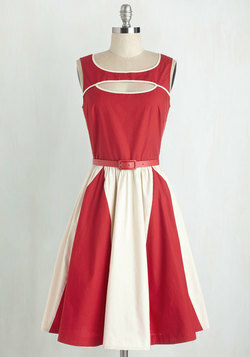 Speedier Shipping and a New Namesake Label at ModCloth.com! On a quest to pack the perfect suitcase for my Roman/Florentine holiday, I’ve been scouring the ModCLoth site for Sophia Loren-inspired looks to make my trip both stylish and memorable! I was thrilled to snag this super cute travel wallet: It holds ID, passport, cards, boarding passes, a pen, cash, and more! It’s even got little labeled pockets and sections! 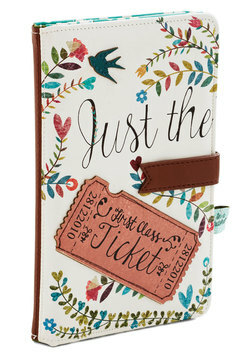 Throw it in your purse or carry-on, and all of your documents and essentials are in one convenient place! Some of the looks that hit my closet lately? 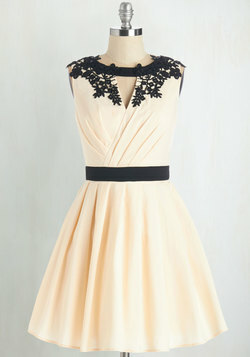 Found a ModCloth look you’ve just got to have? Get it ASAP with their latest deal! Use code YESEXPRESS to get FREE express shipping on US orders of $150+ . Not sure you’re going to spend $150 bucks? You can also get $20 off orders of $100 or more! Tops, bottoms, fall-ready outerwear, and head-turning dresses — don’t wait to flaunt the looks you love. Get ’em today! 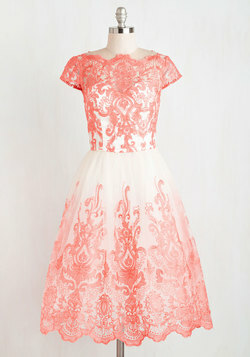 Summer Clearance Sale at RentTheRunway! 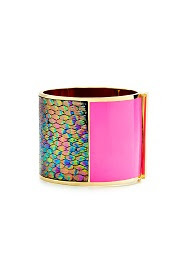 Attention savvy shoppers! I’ve got some exciting news for you! 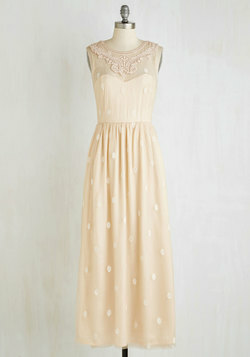 Rent the Runway is holding a rare Clearance Sale! 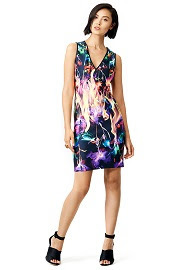 This means that you’ll be able to get designer dresses and accessories at up to 70% off! This special sale runs now through August 31st — and only while supplies last. I strongly encourage you to get your shop on today because quantities and sizes are limited! 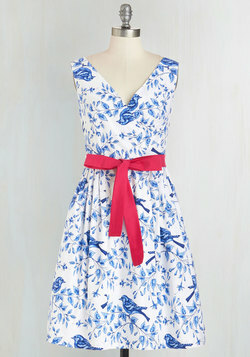 So hop on over to Rent the Runway and check out their Clearance Sale page. You’re sure to find a few must-have pieces that need a new home in my-I mean-your closet! What will YOU snag during this killer sale? There are tons of wedding-worthy dresses for those late summer and early fall receptions you’ll be attending, and some great finds to enhance your existing wardrobe when it comes to killer designer accessories! The options are limitless!